So, what prompted all this? What gave you the idea of jumping on a motorbike and riding off across the world? On a serious note, I have always wanted to travel the world, but since an early age I have been very career driven, and irrefutable job opportunities have made it difficult to justify taking time out of work. However, much to my surprise, when Pete got back from Africa in March 2010 he immediately said he wanted to go away again, this time on an epic motorbike trip. Upon his return he knocked at my door at some unearthly hour on Saturday morning and dragged me hung-over to the local café for a well needed fry-up in central London. It was here that he suggested Alaska to Argentina. This sounded like the trip of a lifetime, and I knew I had to go with him, so I didn’t hesitate to reply “sweet, lets do it”. Almost 2 years later, in Jan 2012, my 1 year sabbatical from work began. 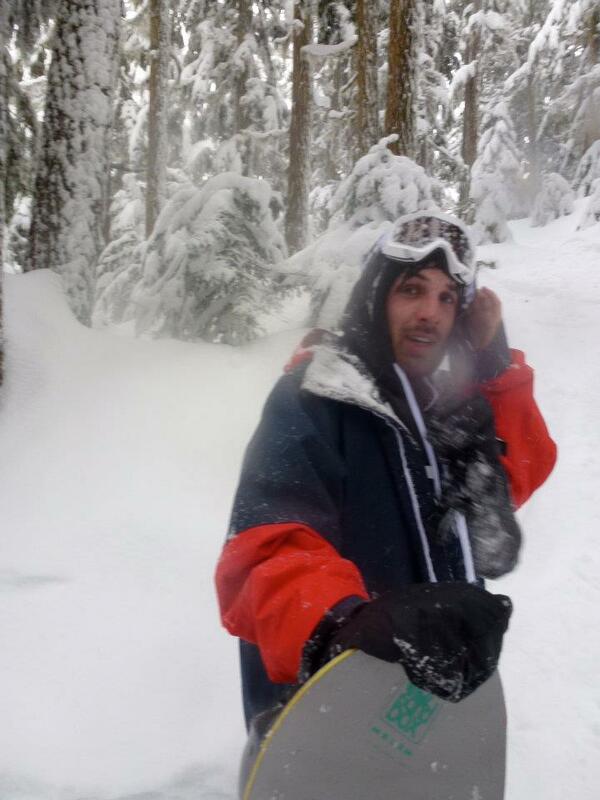 To make the most of my year out I bought a one-way ticket and flew to Vancouver to do 3 months snowboarding prior to starting the motorcycle adventure. On the 30th Jan Pete phoned me from the UK, and we had a long chat about the trip. We both had some concerns over being in Alaska too early, and Pete began thinking that we could do more than Alaska to Argentina in the 9 month duration. I suggested I could fly home after my snowboarding season, at which point Pete jumped at the idea of travelling through Europe and across Russia before riding the Americas. After the chat we exchanged text messages, Jon: “HECTIC” & Pete: “Cant believe it lad, I think its a good shout”. The scale of the trip had just doubled, and the idea of a round-the-world motorcycle adventure was born. You’re covering a lot of miles on a relatively low powered machine, does this not concern you? Yeah, for sure it does, but not as much as the excitement I feel about how these bikes will shape up on the dirt tracks! The thought of many long days high speed road riding often makes me wonder if we have made the right choice, but you only have to watch the Long Way Round and see how Charley Boorman and Ewan McGregor struggled with the heavy 1200cc BMW’s to realise why a small light weight bike is the way to go. 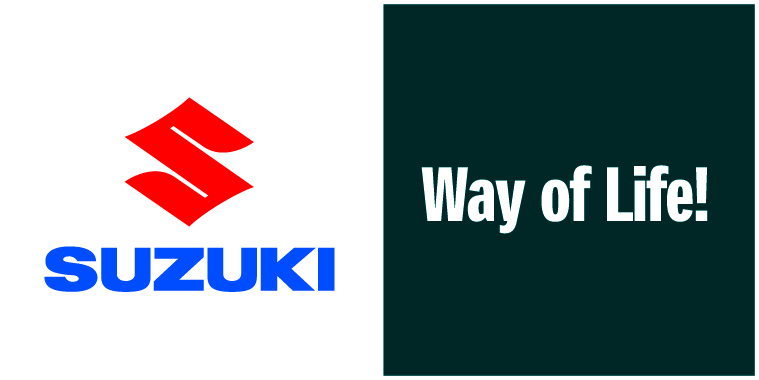 Hours of research went into making this decision, and I have no doubt the DRZ was the right choice….famous last words. How mechanically minded are you? Are you comfortable you can handle most minor repairs on the side of the road? I spent most of my childhood ripping apart go-karts, motorbikes, and old cars in my parents garage. I owe a huge thank you to my Dad, Graham, for all the hours he has spent helping me over the years, and also to my Mum, Sue, for funding expensive motorsport hobbies! Thanks to them I am mechanically minded, and if we have the correct parts and the required tools then I think we’ll be fine. If it’s something mechanical, such as a broken chain or sprocket I’m sure we can get by, my main concern is any electrical faults. Besides, I think we’ll be lucky if we are on the side of a road when we break down, perhaps it would be more fitting to ask if we are comfortable making repairs on a mountain dirt track at the edge of a cliff face! Which part of the trip are you most looking forward to and why? Eating goats testicles in Mongolia. The ferry from the UK will be an exciting time, as it will be the first time Pete and I sit down just the two of us and realise we have left the homeland, and the ride around the world has finally begun. Reaching Alaska will also be a highlight, as at this point we’ll have completed the first half of the trip, we will know the bikes and our equipment inside out, our riding skills will have progressed significantly, and the original dream of Alaska to Argentina will be about to commence. However, the part I am most looking forward to is reaching Ushuaia, I think ill kiss my fuel tank and give Pete a pat on the back; I cant wait to say the words “we made it”. Have you seen much of the world before now? My only childhood memories of holidays are to Spain with my parents, and going on lads holidays to Tenerife and Magaluf! 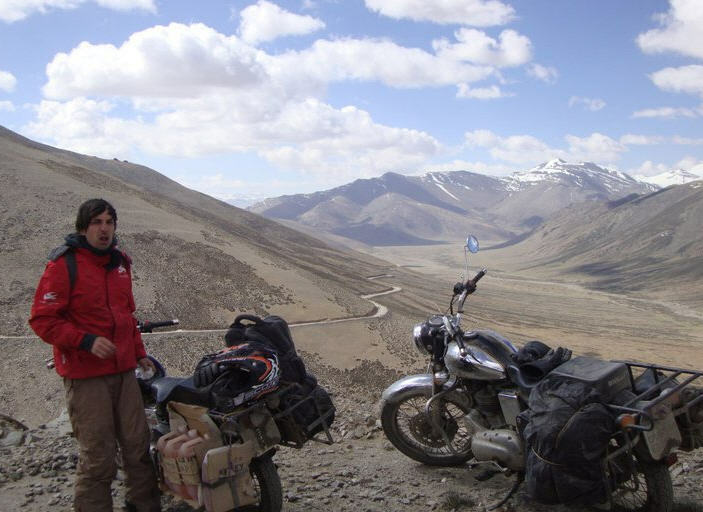 More recently I have had a short break travelling solo to Thailand, and completed a 2 week motorcycle adventure in North India with Pete, tackling the infamous Manali to Leh highway on Enfield 500 Bullets. In 2007/08 I was lucky enough to travel around the world with my job, working as a Data Engineer for Super-Aguri F1 Team. Attending 18 races in one season meant getting used to life on the road, although with such a busy schedule I had very limited time to explore the countries. With meticulous travel itineraries, hire cars and hotels, I wouldn’t describe it as ‘seeing the world’. I hope the bike trip will be very different, enabling me to submerse myself in each different culture, and spend time meeting people along the way to help me see the world through their eyes. This really is the trip of a lifetime. How are you feeling now the departure date is nearing? The idea of this trip still feels kind of surreal. The sheer scale of the adventure is hard to appreciate, and besides riding the Manali to Leh highway in India I have not done anything like this before, so I often feel anxious more than excited. I am looking forward to heading back to the UK and spending a couple of weeks working on my bike prior to the departure date in April. Once the bikes are ready to roll, and we feel prepared to hit the road, I’m sure the feelings of anxiety will quickly turn into ones of excitement! Your story is very inspirational! I’m planning on a motorcycle trip from Japan to India sometime next year. Vladivostok-Moscow-Baku–Teheran-Balochistan-Lahore-Amritsar-Delhi-Chennai. Very much like you, my only experience till now is a 3500km clockwise loop from Delhi-Srinagar-Kargil-Leh-Manali-Delhi and a 2000km clockwise loop around Hokkaido in Japan. We’re pleased you enjoyed the read. Your trip sounds very exciting. We didn’t have any security issues on the TSH. There are lots of riders riding this route every year and very few report any issues. If you’re nervous about riding solo you should check out some of the forums such as ADVrider or The HUBB. They are great portals to communicate with other riders and get up to date info and also find somebody to team up with if that is what you would like. Good luck with the preparation. Let us know if we can help.